According to the production features of the different steel manufacturing enterprises, Luoyang Dahua had developed “Dry method” and “Wet Method” comprehensive recycling equipment respectively. The production capacity could be 300,000 tons - 2,000,000 tons per year. We provide high efficiency, energy saving techniques and equipments for steel slag recycling plant to achieve the aim of steel slag zero emission and building up sustainable development, energy saving enterprise. Dry Method steel slag recycling process doesn’t need to consume valuable water resource. After crushing, roller milling and magnetic separation process, the steel slag turns into two grades of steel scraps, which contains 55% Fe through autogenously grinding. The iron content of -5～10mm tailing steel slag is below 2%. Through sedimentation treatment, the slag could be used as dry slag mortar or used for cement making, steel slag micro powder. The company has been provided the complete set of steel slag production line for Baosteel with 500,000 t/a, Shaanxi Longmen Steel with 1,000,000 t/a, HBIS Group with 1,500,000 t/a, Tianjin Iron & Steel Group with 1,500,000 t/a and overseas companies in Korea, Japan, Malaysia, India and so on. The main equipments include PEY jaw crusher, GPY cone crusher, ZM autogenous mill, and GMBZ rod mill, etc. 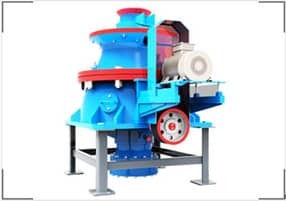 GPY series single cylinder hydraulic cone crusher is one kind of high-class product combined with mechanical technology, electrical technology, hydraulic technology and advanced crushing technology. The machine has the feature of large crushing ratio, high crushing efficiency, low power consumption and even particle size. 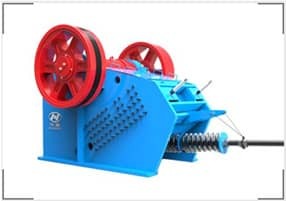 PE(X)Y series coarse (fine) crushing jaw crusher is a kind of compound pendulum jaw crusher with single cylinder, which is mainly used in coarse crushing for steel slag. The machine has the feature of high reliability, long service life of wearing parts and easy maintenance. 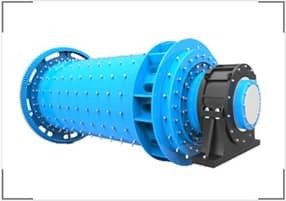 The energy-efficient rod mill produced by our company uses rolling bearing support to instead bearing bush slip bearing support, using dry oil as the substitute of thin oil to save energy by 10-20%. 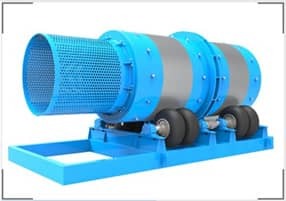 Moreover, the material mobility in dry method is bad with the production capacity of 40-70% of that in wet method, so rod mill usually adopts wet method in production. This series of product is mainly used for autogenously grinding and separating slag and steel, to enhance the steel content. It also can be used in foundry works to remove the bonding residue on the small casting pieces' surface, etc.